Dubai, UAE, February 05, 2019: As Bentley enters its Centenary year, the oldest remaining and first racing model – EXP 2 – will be displayed at Retromobile, Paris. The first of many unique events in 2019 that will see Bentley celebrate this landmark year, Retromobile kick-starts the world car show season between 6-10 February at Salon des Expositions, Porte de Versailles. Showcasing Bentley’s motoring evolution over the past 100 years, the British brand’s stand in Paris offers visitors a unique opportunity to explore the heritage and the innovation of the British luxury car manufacturer. Joining its illustrious forebear in Paris will be the new Continental GT Convertible – the pinnacle open-top Grand Tourer. Although separated by 100 years of automotive evolution, the two models share fundamental Bentley characteristics: both are genuine Grand Tourers; both offer sector-defining levels of performance; and both feature innovative technology at their core. The year, Retromobile celebrates its 44th anniversary, with over 120,000 visitors expected to attend from all over the world. For more information on the event please visit www.retromobile.com. In the first few years of his company’s existence, W.O. Bentley made three prototypes: EXP 1 (EXPerimental No.1) at New Street Mews off Baker Street (which first ran in October 1919); EXP 2 built later that year at Bentley’s new workshop in Cricklewood (cannibalising much of EXP 1): and EXP 3 – better known as ‘The Cab’ and W.O.’s personal car. 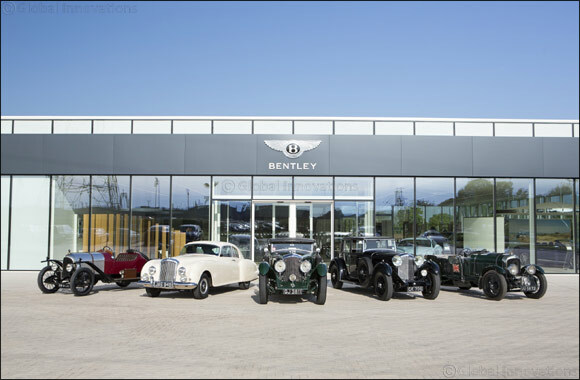 As Bentley commemorates 100 extraordinary years, brand enthusiasts will be able to join the celebrations at a number of events hosted around the world – showcasing the best of Bentley past and present.